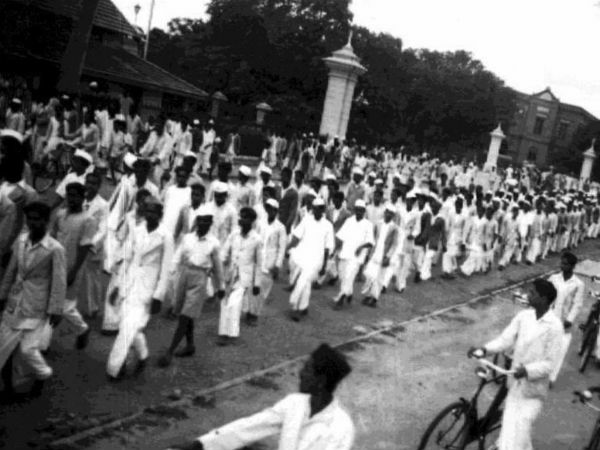 Today, on 8th August, we mark the 76th anniversary of the Quit India Movement, a civil disobedience movement which was launched on 8th August 1942 by the Congress Party under the leadership of Mahatma Gandhi. This uprising was held for months in order to throw out the British rule and commence an absolute Indian rule over the country. The movement started after the Cripps Mission, which was launched by the British and aimed at getting complete Indian cooperation, failed. Even though this rebellion couldn't survive for a long period of time, it certainly influenced each and every Indian and forced the British Empire to leave the country. There are several places in India which were largely impacted by the movement. Following is the list of such places where Quit India Movement was taken seriously and where this uprising took place on a large scale. Read on to know more about these historical places which contributed a lot to India's independence movement. Mumbai has always been one of the most significant cities in the country since its outset. This dream city, what we call it today, was once a major site for the commencement of several revolutions and movements in the past. Yes! Mumbai is the place where Quit India Movement was launched by Mahatma Gandhi after his intriguing speech, with a call of "Do or Die", influenced every nationalist to work towards the freedom of the country and the evacuation of the British forces. Gowalia Tank Maidan, which has become a popular tourist site in Mumbai, was the exact place from where the movement started. Even though Mumbai has come a long way since the movement, you can still find those historic sites and learn about their significance. If you have ever studied or had an inclination towards history, you must have heard of Satara, the historical place where the Maratha Empire flourished for decades and several battles were fought in between the foreign invaders and the rulers. Located at a distance of about 255 km from Mumbai, Satara was one amongst the few places where local violence happened in the name of the Quit India Movement. During this period, the whole of Satara was strongly against the British army and was protesting on a larger scale. Today, Satara is a popular tourist destination and has numerous beautiful places which allure tourists from all over the country. On account of its development and commercialisation, those historic sites related to the movement were lost. Famous as one of the significant industrial cities in Odisha today, Talcher was once a centre of revolt during India's independence movement. It is the place where people went violent and destroyed public properties to a large extent in order to show their non-cooperation towards British rule. Currently, Talcher is popular as the coal city of Odisha and is also home to several historical places, such as forts and palaces. The significant sites here which can narrate the history of India include Talcher Palace. It is located at a distance of about 20 km from the main city of Bhubaneswar. Even though there were several places in Bihar, such as Muzaffarpur, Sultanpur and Bhagalpur, which equally participated in this movement of 1942, Patna maintains a significant place as it is one of the few cities where violence happened on a greater level. Despite being a non-violence movement, acts of violence were erupted on a higher scale in these places, resulting in the destruction of post offices, police stations and several other government buildings. Today, Patna stands as the capital city of Bihar and is one of the developing cities in India. The major places in Patna which will certainly interest you include Golghar, Patna Museum and Mahavir Mandir. Yes, Bangalore too! If you think Bangalore flourished only a few decades ago, then you really need to turn back the pages of history and read a lot about the Quit India Movement, when each and every citizen was on the road protesting against the British rule. The places around Vidhana Soudha were entirely flooded with nationalists who were raising their voices against the British. Today, Bangalore is one of the megacities and is known as the Silicon Valley of India. Located in Uttar Pradesh, Ballia is a famous historic city where several incidents related to Indian independence happened. Did you know Mangal Pandey, one of the important persons who played a major role during the Mutiny of 1857, was born in Ballia? So, how can it stay away from contributing to India's independence movement? Ballia was largely influenced by the Quit India Movement, which in turn, compelled people to go violent and attack government offices.